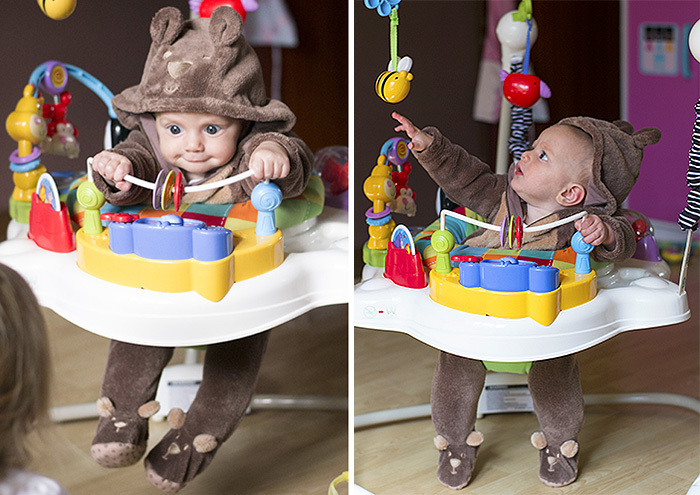 Tiger was sent a Fisher Price Discover ‘n Grow Jumperoo a few weeks ago and has been putting it to the test ever since. 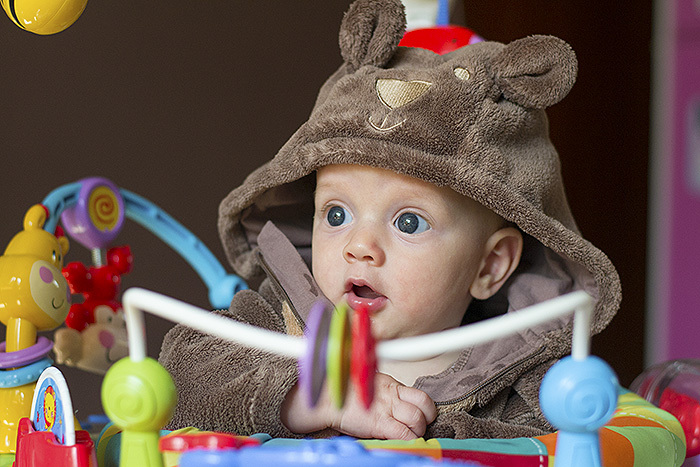 If you haven’t heard of a Fisher Price Jumperoo before then it’s a seat surrounded by colourful, musical toys and suspended from a big metal frame. 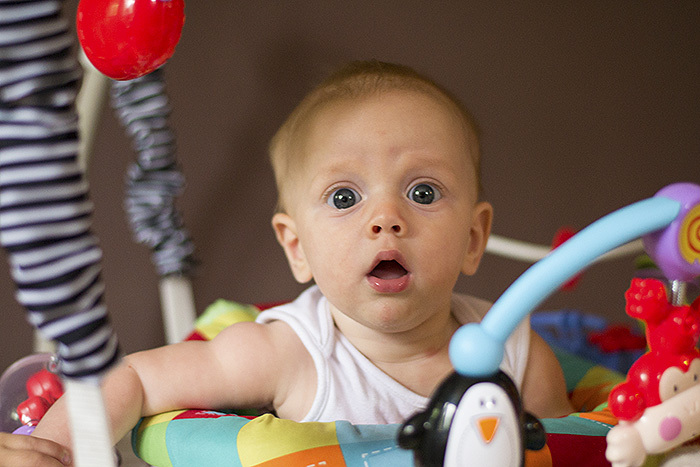 The frame has been put together in a way which allows the baby to jump and it has three different height settings so you can adjust it as your baby grows (their feet must always be able to touch the floor). It’s basically an entertainment centre for babies which allows them to play as well as bounce and as my sister-in-law said the other day, whoever invented it is a genius! 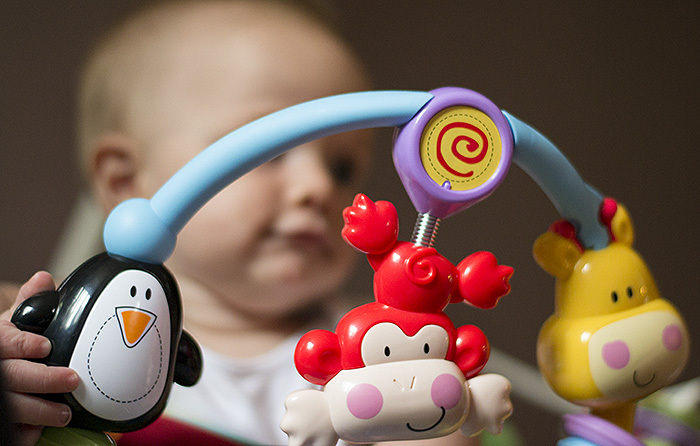 I didn’t have a Fisher Price Jumperoo for Cherry as I hadn’t heard of them, I only came across them when she was too old to use one but everyone I know has had only positive things to say about them so I was excited to see what Tiger made of it. 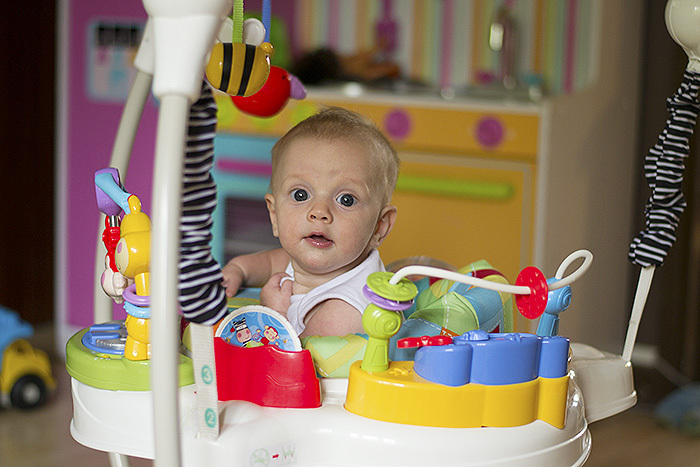 We have the Discover ‘n Grow Jumperoo and it all clipped together really easily. No tools were needed which was useful as Mr C keeps them all at his workshop and it takes me weeks of asking him before he remembers to bring them home! I did struggle a bit when it came to attaching the fabric to the plastic seat, it took me a few attempts, but it might have just been me not reading the instructions very well. It has now become an essential piece of equipment in our house. It is used more than once on a daily basis, in fact at the moment I have been putting him in it for a play around 3-4 times a day. He absolutely LOVES it. The seat twists around so he can get to the five different activity sections and then he can look up to see the little bird and bee hanging off the structure, he is always trying to touch them. In the photo below you can see there are plastic circles on a little wire that they can pull across, he loves doing that. Then there are the three animals below which are above some buttons which flash when you press them and play music. And this is his ‘what do you mean I have to get out face’! 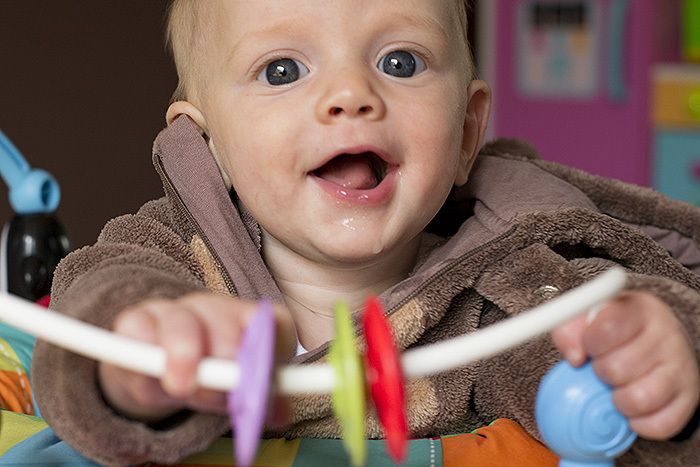 When he’s in the Jumperoo he is one happy little boy which makes me one very happy mummy. The only negative thing I would say is that it is rather large but I honestly mean it when I say that I don’t mind because anything that keeps him entertained and allows me to get things done is well worth having, no matter how much space it takes up! Disclaimer: I was sent this product free of charge for the purpose of this review but all of the words and opinions are my own.